RPT Reader Jordan Schroeder sent in an interesting adventure synopsis involving a nefarious circus, and asked for feedback. 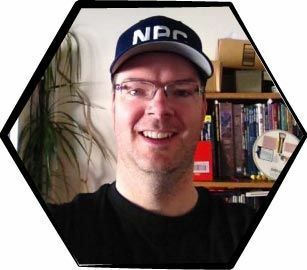 As an experiment for Roleplaying Tips, with his permission, we’re posting his outline to inspire your games and to get your help giving Jordan some feedback. This also happens to fit the theme of this month’s RPG Blog Carnival theme of The Blogging Community, hosted by Dice Monkey. Double rainbow! A mother pleads with the party to investigate the disappearance of a healing woman because the healer has an urgent refill of a special medicine for her chronically sick child. They discover the healing woman’s cabin infested with a spider brood, who killed the healer and is using her potions and cultivated herbs as aid to the brood-mother who is having a difficult birth. After defeating the brood, the party finds the special medicine. When the PCs return with the medicine and news of the healer’s death, the mother tells them there is another healer she knows of in a different town who might be able to replicate the treatment. She gives the players a sample of the special medicine and a note to the healer. The remaining medicine will only last a month before the child will become too ill to treat. A travelling circus has turned into a criminal band. An Herbalist in the gang devised a scam involving a custom poison that mimics an illness. The gang poisons a child in a town just before they leave, and the Herbalist arrives in town a few days later with a treatment for a very high price. The treatment only prolongs the child’s life, but doesn’t cure the poison. The point of the scam is to extract as much cash from the parents before they are no longer able to pay, after which the child dies. The circus runs a circuit and the Herbalist follows on his own circuit, extracting large payments from the parents of surviving children in multiple towns. But a couple years ago, the Herbalist had a change of heart, left the gang, and went into hiding. He lives and works in disguise as an herbalist in the town where the Duke lives, hoping the Duke’s presence and power might deter the gang from attacking openly if he was found. The Ring Master knows the Herbalist can end the lucrative racket and is hunting him. The Duke has started getting suspicious about the sick children, but doesn’t have evidence to do anything. He wants to find the Herbalist due to his arrival two years ago coinciding with the disappearance of the travelling Herbalist who was treating the doomed children. The Duke also wants to question the new Healer who was put in place by the Ring Master to continue the scheme. The Herbalist-in-hiding has learned of the Duke’s interest in him and, fearing exposure to the Duke as the actual culprit and exposure to the gang, has disappeared into the forest. The party is sent to find the Herbalist, not knowing he is in hiding. Along the way, they meet the circus and discover they are shady, but nothing more. They pass through another town, in which they find a newly afflicted child. As they leave to travel to the Duke’s town, they are ambushed by overly ambitious pickpockets from the circus who carry a message to the Fake Healer that identifies the newly afflicted child. At the gates of the Duke’s town, they are stopped by guards for normal questioning. This is where the story can fracture into several different directions (The 3 Rings). The party can meet the Duke and be recruited to gather info for his investigation. This can include finding the Herbalist, stopping the circus alone, or gathering specific evidence for the Duke to send his army to defeat the circus. The party looks for the Herbalist (on behalf of the gang, the Duke, or the sick child). Once found, the Herbalist can create a full cure for the poison, but needs special ingredients that require several quests to gather. Each ingredient is a unique quest. No matter the motivation, the Herbalist is willing to create the cure (to avoid detection/detention, to be released from captivity/jail, to aid the children). Once the ingredients are gathered, the Herbalist can create the cure for all the children, but he discloses the ritual that created the poison included Blood Magic, and the cure would require this as well. The party can decide to sacrifice one of its members (permanent weakness until the end of the campaign), or find someone else (through persuasion or force). Then the cure must be delivered to the two towns with sick children. Once the first child is cured, the circus throws its full might to stop the party and to steal the cure. At any point, the party can take on the circus. This includes killing the fake Healer and other lieutenants, as well as the Ring Master. Depending on the Party’s relationship to the Duke, they might be aided by a small army or key NPCs. The story is mostly linear until the gates of the Duke’s town, at which point the players’ decisions and actions dictate what happens next. There are many points of moral decision in the story. Each affects how the rest of the story behaves. Turn in the Herbalist? Help the Duke? Help the circus? Sacrifice yourself or another for the cure? Steal the ingredients? The story could be played evil or good. If the party annoys the circus or Duke too much, they will send a steady stream of agents after them in retaliation. They will also trail the party if it becomes obvious the party is on the path of the Herbalist. Encounter design depends on party actions, but there is a basic structure. Opportunities for classic “5-room” encounters are noted with (5R). Roleplay encounters can be replaced by Skill Challenges, if preferred. Not all of the encounters need to be experienced. Depending on how much of a bother the party is to either the Duke or the circus, different stages of the story can be interrupted by random battle encounters. Sacrifice for the Cure (either roleplay encounter if PC volunteers or skill challenge if forcing an NPC to sacrifice). If PC sacrifices, they receive a curse until the end of the campaign. The adventure is designed to be flexible enough for the PCs to go in almost any direction and take any moral choice they would like (even to take the place of the fake Healer and hold the cure for ransom). The GM has to be able to adjust the encounters and NPC actions accordingly, but I think the structure is solid enough where the GM should have a good idea about what to do. Is that too much for a GM to do on the fly? Where does campaign design end and real-time GM creativity begin? The story itself is straightforward. The hope is the unravelling of the story and the consequences of PC actions will be unexpected and interesting (along with some good ol’ slash-and-bash encounters). Is the story interesting enough on its own?